The toughest leverset lock for heavy-duty commercial applications. At Schlage we know that every product you specify has to stand up to constant use and abuse without compromising security. The ND-Series gets the job done with tough, dependable ANSI Grade 1 locks designed for use in schools, hospitals, offices, retail spaces, and colleges and universities. Built for heavy duty applications, ND-Series locks are easy to service and maintain, are available with our exclusive Vandlgard® technology, and offer a wide range of styles and finishes to fit your project needs. We don't compromise on security. The safety and security of your clients’ buildings is something we take very seriously. That’s why every Schlage lock and deadbolt undergoes intensive testing to determine its ANSI grade level: • Cycle tests • Resistance tests • Door impact tests • Warped door tests • Bolt strength tests We pay attention to these details so you can focus on creating a functional and aesthetically pleasing environment for your clients. In fact, every one of our ND-Series locks meets ANSI Grade 1 standards for safety. Built to perform without fail. The Schlage ND Series is the toughest cylindrical lock we make. That means you get premium durability and performance in a lock that’s also easy to service and maintain. And because we test our locks beyond the standards required by ANSI, you know that you’re getting a product you can count on to withstand the use and abuse that come with heavy duty commercial applications. • Tested to at least four times the 800,000-cycle ANSI Grade 1 requirement • Exceeds ANSI A156.2, Series 4000 Grade 1 locked lever torque requirements • The only cylindrical lock available with our exclusive Vandlgard® technology Door Handing All ND levers are reversible. Hand information is necessary to ensure proper cylinder orientation in keyed functions, and finish of latchbolt and strike for locks that are to be installed on reverse bevel doors. Follow the diagram to correctly determine the hand of the door. ADA-Compliant Products In compliance with the American National Standards Institute (ANSI A117.1) and the Americans with Disabilities Act (ADA), Schlage Lock Company offers a wide selection of locks designed for the needs of the physically challenged. This act is designed to provide protection for people with disabilities. The intent of ADA is that owners of certain types of buildings must remove barriers and provide people with disabilities with access equal to, or similar to, that available to the general public. Handing: All ND-Series leversets are non-handed. Door Thickness: 1 5/8” to 2 1/8” (41mm–54mm) standard including Vandlgard® functions. 1 3/4” - 2” for function D85. See accessories for spacers required for 1 3/8” doors. Backset: 2 3/4” (70 mm) standard. 2 3/8”, 3 3/4” and 5” (60 mm, 95 mm, 127 mm) optional. Faceplate: Brass, bronze or stainless steel. 1 1/8” x 2 1/4” (29 mm x 57mm) square corner, beveled. Lock Chassis: Zinc plated for corrosion resistance. Latch Bolt: Steel, 1/2” (12mm) throw, deadlocking on keyed and exterior functions. 3/4” (19 mm) throw anti-friction latch available for pairs of fire doors. Exposed Trim: Levers: Pressure cast zinc, plated to match finish symbols. Roses: Brass, bronze or zinc. Strike: ANSI curved lip strike 1 1/4” x 4 7/8” x 1 3/16” lip to center standard. Optional strikes, lip lengths and ANSI strike box available. See page 21. Cylinder & Keys: 6-pin Everest C123 keyway standard with two patented nickel silver keys per lock. Keying Options: Interchangeable core and Primus high security cylinders. Master keying, grand master keying and construction keying. Warranty: Seven-year limited for all functions including Vandlgard. ANSI: Meets or exceeds A156.2 Series 4000, Grade 1 strength and operational requirements. Meets A117.1 Accessibility Code. Federal: Meets FF-H-106C Series 161. California State Reference Code: (Formerly Title 19, California State Fire Marshal Standard) All levers with less than 1/2” (64mm) returns comply; Schlage levers return to within 1/2” of door face. MEA Certification: All electrified locking (fail-safe, unlocked by switch or power failures) functions accepted for use in New York City by the City of New York, Department of Buildings (MEA 24-04-E). All levers with less than 1/2” (64mm) returns comply with California Fire Safety Codes. Florida Building Commission: 3/4” and 1/2” throw latch approved for Hurricane Resistance with Miami-Dade County, Florida. UL / cUL: All locks listed for A label single doors, 4’ x 8’. Letter F and UL symbol. ADA Compliant: Schlage Lock Company offers a wide selection of locks designed to meet the Americans With Disabilities Act. Lever Designs Athens Rhodes Omega Sparta Tubular Lock Functions Non-Keyed Locks Schlage ANSI Description ND10S F75 Passage Latch ND12D F89 Exit Lock ND12DEL - Electrically Locked (Fail Safe) ND12DEU - Electrically Unlocked (Fail Secure) ND25D - Exit Lock ND40S F76 Bath/Bedroom Privacy Lock ND44S - Hospital Privacy Lock ND170 - Single Dummy Trim Keyed Locks Schlage ANSI Description ND50PD F82 Entrance/Office Lock ND53PD F109 Entrance Lock ND60PD F88 Vestibule Lock ND66PD F91 Store Lock ND70PD F84 Classroom Lock ND73PD F90 Corridor Lock ND75PD - Classroon Security Lock ND80PD F86 Storeroom Lock ND80PDEL - Electrically Locked (Fail Safe) ND80PDEU - Electrically Unlocked (Fail Secure) ND82PD F87 Institution Lock ND85PD - Faculty Restroom Lock Vandlgard Functions Schlage ANSI Description ND91PD F82 Entrance/Office Lock ND92PD F109 Entrance Lock ND93PD F88 Vestibule Lock ND94PD F84 Classroom Lock ND95PD - Classroom Security Lock ND96PD F86 Storeroom Lock ND96PDEL - Electrically Locked (Fail Safe) ND96PDEU - Electrically Unlocked (Fail Secure) ND97PD F90 Corridor Lock ND-Series Other Special Functions Schlage ANSI Description ND30D - Patio Lock ND25 x 80PD - Storeroom Exit Lock ND25 x 70PD - Classroom Exit Lock ND60PD - Vestibule With Closed Outside Lever ND70 x 80PD - Classroom by Storeroom Lock ND72PD - Communicating Lock ND72PD - Vandlgard Communicating Lock Finishes The latest in modern techniques and equipment are used to apply the highest quality finish. Extra steps assure durable, consistent finishes and long useful life. Although we apply the finest available protective plating and/or enamel coating to the surface of our products, these finishes have limitations and in time may deteriorate either from exposure to weather, pollution, perspiration, extremes of climate, frequency of use or other factors. Deterioration of these finishes is, therefore, not a defect, but a normal process which is unavoidable. Our company cannot accept responsibility for finish deterioration in these circumstances; therefore, the finishes cannot be guaranteed. These products will not be refinished or replaced under our warranty should deterioration of finishes occur. ND-Series Catalog ND-Series Sell Sheet ND-Series Service Manual Templates ND-Series Door Templates for ND170 Metal ND-Series Door Templates for ND170 Wood or Composite ND-Series Door Templates ND400 ND-Series Door Templates ND401 ND-Series Door Templates ND402 ND-Series Door Templates ND405 ND-Series Door Templates ND406 ND-Series Strike Templates J918 ND-Series Strike Templates J919 ND-Series Strike Templates J928 ND-Series Strike Templates J929 Installation Manuals ND170 Dummy Installation Instructions ND25 Exit Lock Installation Instructions ND-Series Installation Instructions Choose the right key system for your application. Schlage Classic and Everest key systems are designed to give you the level of security you need for every application. With optional keyway exclusivity, multi-level key hierarchy and cylinders that fit into a wide variety of locks, Schlage key systems and cylinders give you total control of your key system and building security. The perfect mix of performance and flexibility. Unlike many other brands of high security cylinders, Schlage can easily intergrate its Primus XP and conventional cylinders into the same key system with no adverse effect on keying capacity. Primus XP keys will operate conventional cylinders, but conventional keys will not operate Primus XP cylinders. This means you can secure exterior doors and sensitive areas with Primus XP cylinders and use convential cylinders on the remaining doors. This cuts the cost of the overall job, and security can be tailored to meet the exact needs of each door without sacrificing the convenience of having a single building master key. The Classic keyway family Schlage Classic keyways provide security with no restrictions on duplication. Our Classic keyways can be easily upgraded or mixed with Primus XP for enhanced protection. Primus XP – high security. The Primus XP keyway provides various levels of geographic exclusivity and requires authorization for duplication, ensuring better key control. • Patented protection until July 2024 • Cylinders have a second set of pins for added security and pick resistance • UL 437 versions available for additional protection against drilling and physical attacks • Operates Primus XP and Classic (open) cylinders The Everest patented keyway family Everest patented keyways provide the highest levels of protection against unauthorized key duplication. Their patented design prevents non-authorized sources from manufacturing and distributing Everest key blanks. Our Everest key systems are suited for both new and existing key systems, and give you the flexibility to expand and upgrade your key system as your needs change. What is Everest Primus XP? The highest level of keyway security, Everest Primus XP keyways are distributed under careful protection guidelines to protect the exclusivity of the individual side bit milling patterns. 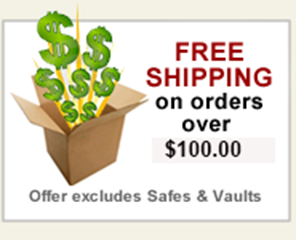 Choose Everest Primus XP when the highest level of security and protection against unauthorized duplication is needed. • Geographic exclusivity on key blanks • Multiple patents protect against unauthorized key manufacture through July 2024 • Pick- and rake-resistant design • Can be mixed and matched with non-Primus XP cylinders • All key sections and master keying available at all levels of security • Keys can be combinated using commonly available pin kits and key cutting equipment • Keys are quick to cut and cylinders are easy to pin • Thicker keys for added strength • Three-year product warranty and a limited life-time warranty against key breakage • Operates Everest Primus and Everest restricted cylinders Choose the Right Cylinder for Each Application. Schlage cylinders are ideal for a wide range of commercial applications, including airports, hospitals, schools and universities, government and military buildings, offices and research laboratories. Choose from Classic Primus XP® or Everest® Primus XP high-security cylinders, Everest patented open and restricted cylinders, or the industry-standard Classic cylinders to fulfill your security needs and the demands of your specific installation. Conventional Cylinders Schlage’s high quality conventional cylinders provide the standard level of security and functionality for Schlage locks. The exclusive use of solid brass bar stock plugs and shells, phosphor bronze springs, nickel silver keys and bottom pins, ensures long life and ease of operation. 6-pin Everest cylinders in C123 keyway with two patented keys are standard for stock. C145 is standard for new master key systems. Standard Cylinders Available Description 6-pin conventional (standard) Primus XP High Security Primus XP UL437 Listed high security Hotel cylinder Temporary construction plug, plastic for functions Available in 606 and 626 finish only. Everest C123 keyway standard. Primus XP High Security Cylinders Primus XP high security cylinders are available to add patented* key control and varying degrees of geographical exclusivity to most Schlage 6-pin key systems, whether using Everest or Classic keyways. In addition to a conventional pin tumbler mechanism, Primus XP cylinders incorporate a patented* finger pin and sidebar design providing a “dual-locking” cylinder that is highly pick-proof. Resistance to drilling and other physical attack is optional by specifying 20-500 Series UL437 Listed cylinders. *Patented key protection applies to Everest Primus XP and Classic Primus XP only. Primus XP Lockout Cylinders Available in rim and mortise cylinders only, lockout cylinders are designed for doors where it is frequently desirable to disable all keys from operating the lock temporarily. The special lockout key can be removed while the plug is turned to the 11 o’clock position, preventing all normal operating keys, including master keys, from fully entering the cylinder. Suggested applications for lockout cylinders include laboratories, dark rooms, clean rooms, and exterior doors to dormitories. Schlage will not master key lockout cylinders. Interchangeable Core (IC) Cylinders (Full Size and Small Format) For use where fast rekeying by non-technical personnel is desired, Schlage Primus XP and conventional interchangeable cores offer a great blend of security and convenience. The special control key for the system is all you need to remove the old core and install a new one. The core itself can be rekeyed with standard Schlage pin kits. Unlike some other brands, Schlage interchangeable cores can always be integrated into existing systems with no adverse effect on the key system. IC locks are especially well-suited to chain stores and restaurants where frequent employee turnover requires immediate rekeying by store management. Use IC cylinders to save time and energy when changing labor-intensive locks on exit devices and other door hardware. Full Size Interchangable Cores Available Description Conventional Core Primus XP High Security Core FSIC Driver Available 606 and 626 finish only. Everest C123 keyway standard. Small Format Interchangable Cores Available Description 7-pin uncombinated Everest B Family Restricted Keyways 7-pin combinated Everest B Family Restricted Keyways 6-pin uncombinated Falcon/Best keyways - all keyways 7-pin uncombinated Falcon/Best keyways - all keyways Disposable plastic construction core SFIC Driver Spacer for 6-pin Cores Available 606 and 626, 613 (simulated) finish only. Specify keyway for existing system. 80-033 and 80-043 cores are available in Best A, D, E, F, G, H, J, K, L, and M keyways. Specify keyway by suffixing "B" to the keyway letter, e.g. "AB." 80-036 and 80-037 Restricted keyway cores require a letter of authorization from the end user. Schlage assigns the keyway when establishing new Everest Restricted key systems. *M204-152 does not have a finish option. Latches ND-Series latches are adjustable for flat or beveled edge doors. 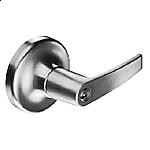 Latches and strikes are furnished in brass, bronze, or chrome finishes to be compatible with lock trim. When ordering, specify quantity, part number, and finish. All ND-Series latches have 1/2” throw and 1” housings except 2 3/8” backset latches, which includes sleeve G506-815 to fill a 1Ý edge bore. Backset Description 2 3/8" (60mm) 1 1/8" (29mm) x 2 1/4" (57mm) square corner 2 3/8" (60mm) 1 1/8" (29mm) x 2 1/4" (57mm) square corner 2 3/4" (70mm) 1 1/8" (29mm) x 2 1/4"(57mm), standard square corner 2 3/4" (70mm) 1 1/8" (29mm) x 2 1/4"(57mm) throw, anti-friction door latch, square corner 3 3/4" (95mm) 1 1/8" (29mm) x 2 1/4" (57mm), square corner 5" Backset extension link *1/2" (13mm) Throw Long Backsets ND-Series locks with 5Ý backsets are normally furnished with 1 1/8” faceplates and 1Ý housings. Links installed in metal doors require one A501-567 sleeve and 43-005 (order separately) to join latch and link. Door Reinforcement Reinforcing unit is required to reinforce and help prevent the collapse of hollow metal doors when locksets are tightly mounted. This kit should be used with long backsets for ND-Series lock installations in hollow metal doors to prevent lateral movement of the latchbolt. Specify door thickness, 1 3/8” (35 mm) or 1 3/4” (44 mm), when ordering reinforcement kits. Strikes All Schlage strikes are furnished complete with screws. The standard ND-Series strike has a 1 3/16” lip. When ordering separately specify quantity, product number, finish, and lip length. Description Lip Length 1 1/8" x 2 3/4" (28mm x 70mm) Square corner, T-strike, box 1 1/8" (28mm) 1 1/8" x 2 3/4" (28mm x 70mm) Square corner, T-strike, box 1 1/2" (38mm) 1 1/4" x 4 7/8" (32mm x 124mm) Standard, no box, ANSI 1 3/16" (30mm) 1 1/4" x 4 7/8" (32mm x 124mm) ANSI, no box 1 3/8" (35mm) Box for 10-025 ANSI strike ---- Rabbeted Latch and Strike Kit Rabbeted latch and strike kit finishes: 605, 626. This kit adapts square corner latches and 2 3/4” (28mm) high strikes for 1/2” (13mm) rabbeted door and frame preparations. Accessories 1 3/8” D-Series Lever Door Spacer ND-Series Electrified Locks ND-Series locks are available for electrically locking and unlocking controls for high security and fire safety applications. They are UL Listed and rated for both fire and electrical single-point locking on labeled doors. RX feature is available on ND80 and ND12 families. Switch is ready to be used in a normally open or normally closed application. Special prep required for RX feature. See service manual for details. ND-Series with Vandlgard The ND-Series Vandlgard is ideal for areas subject to abuse or anywhere vandalism is likely to be present, such as schools, universities, offices and commercial/public buildings. Vandlgard prevents damage to internal lock components caused by excessive force from hitting or standing on the lever to gain access. Vandlgard functions maintain total key system and architectural design compatibility with Schlage’s regular ND-Series cylindrical locks.